The inherent design of rotary vane air compressors is far superior to traditional screw compressors, with unmatched efficiency, service life and cost-effectiveness. It is for this reason that vane compressors are counted on by so many industries, for so many different applications. 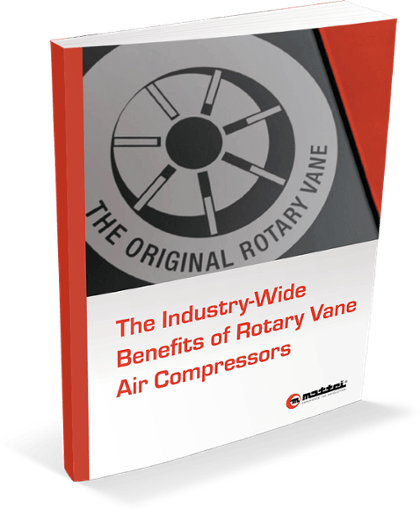 Mattei's new eBook, The Industry-Wide Benefits of Rotary Vane Air Compressors, discusses how rotary vane compressors are used within a variety of industries. We also provide product recommendations for industry-specific applications. Please complete the form to the right to obtain your free copy of The Industry-Wide Benefits of Rotary Vane Air Compressors.